Liven up your space with a pop of color on a great piece of French Country furniture. There’s no need to stay with natural stains or basic whites, if your home needs an infusion of fun. Plan out your space, focus on your fabrics, paints and wood tones. Then, punctuate with color. 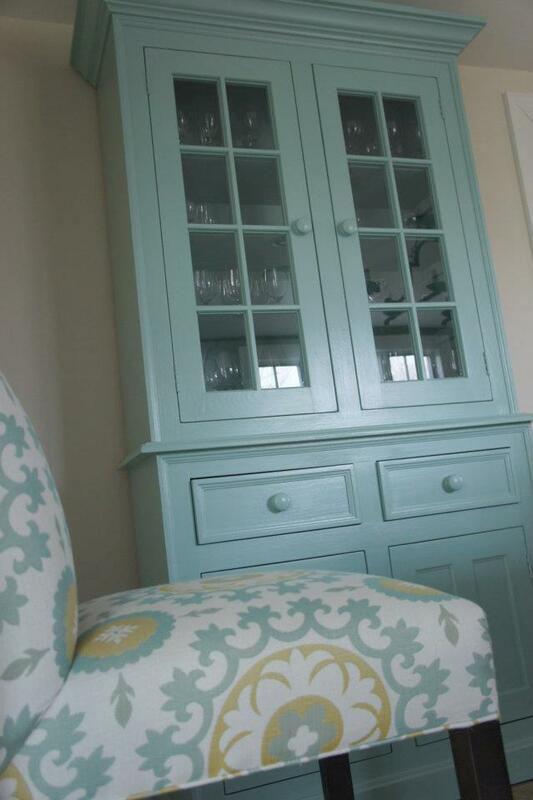 This grand hutch with glass doors is painted in robin’s egg blue. This color can update your country french dining room from blah to wow. The bold, suzani fabric on the dining chairs adds pattern and scale to the room. The warm, neutral dining room walls provide a perfect backdrop for this French cupboard to be the main course. Go bold with your wall color. This works best if you have lots of white woodwork to balance a saturated color. 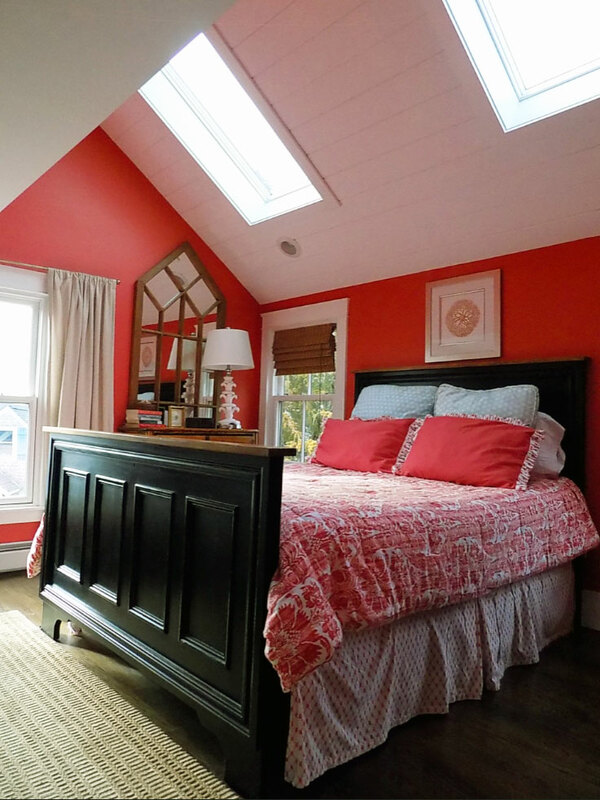 In this bedroom by the sea, Benjamin Moore, Raspberry Blush #2008-30 adds a vibrant blend of French Country and coastal style. The shiplap ceilings, white trim and black french country paneled bed adds structure and balance to the room. It’s a play on bold color, crisp white, and basic black that makes this room a cozy retreat. Bold walls with a classic French Country paneled bed makes this room a cozy coastal retreat. Traditional French Country furniture pieces were often painted in vibrant colors like salmon, cranberry, robin’s egg and mustard. This French Linen Cupboard in salmon milk paint on espresso stain is a classic choice with a modern feel. Add a bit of salmon to a bedroom or hallway to create a focal point. The espresso stain works well with other dark stained pieces or walnut flooring, too. 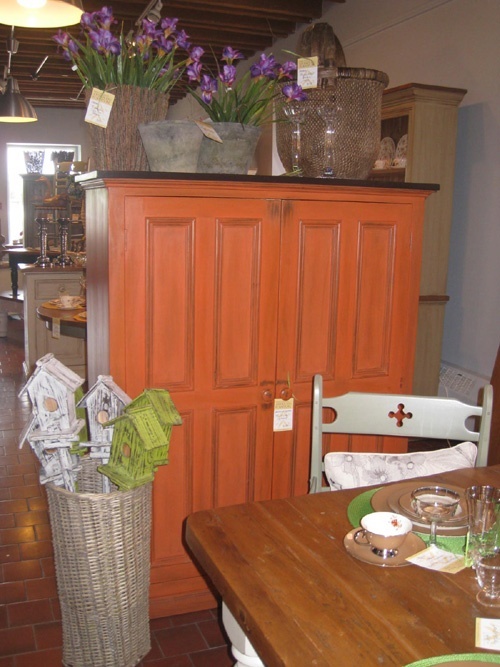 French Country Linen Cupboard comes alive with this fun salmon finish. Farmhouse tables have long been a versatile choice for homes with French Country style. So, why pick traditional black, white or natural? 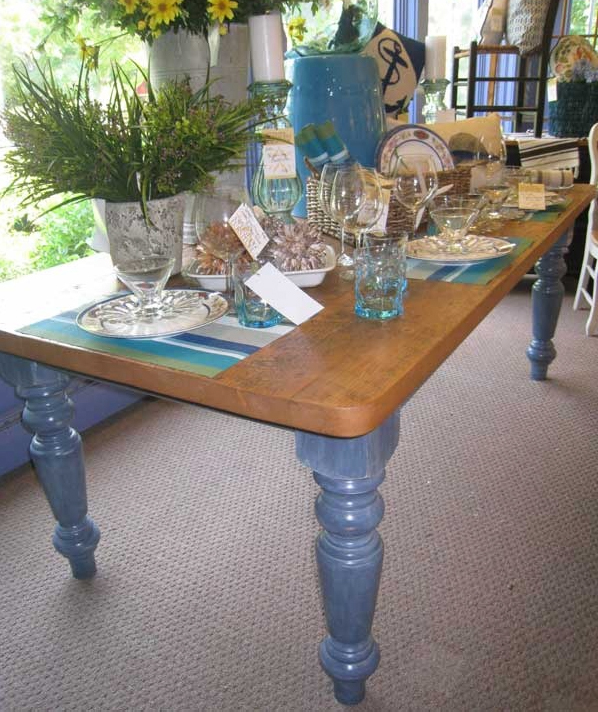 This provence blue farm table is the perfect complement to your French Country home. By adding a touch of color on the table base it plays well with other colors on the wall, decor and fabrics. French Country Farm Table with old wood top has relaxed, cottage feel.